Stop Brexit Crowdfunding… a Necessary Evil! 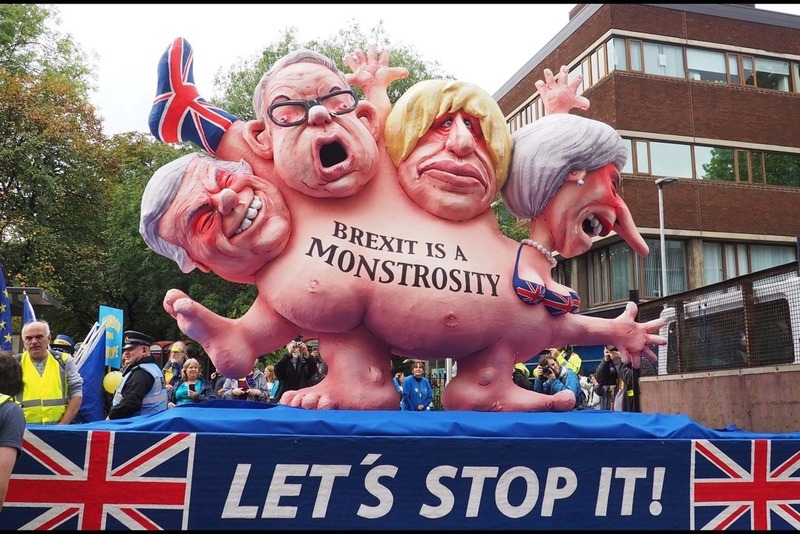 We at Stop Brexit Ltd are not big fans of crowdfunding, but it’s a necessary evil to enable us to keep campaigning to stop brexit. We have always endeavoured to keep our budgets low and tightly controlled to get good value for the kind donations we have received in the past and we will continue to do that. As you will (hopefully) be aware we have two events coming up in June (the 11th and 12th and the 23rd) and more in the pipeline. Although there are not a great deal of costs involved we would like to print leaflets, posters and stickers, pay for some advertising and in the case of 11/12 June we need insurance and a stage. Therefore we have set up a crowdfunder and we hope that you will give generously. This crowdfunder will keep running as there are many projects coming up in the next few months that we would like to get involved with and we would also like to be in the position to help fund other stop brexit activities where funding from other sources is not available. You will be aware of large fundraisers set up by other groups, but these funds do not trickle down to grassroots stop brexit activities and we’d like to change that. Please give generously, we promise to keep being transparent and keep you informed with regular updates of our accounts so you can see where the money is being spent. PLEASE NOTE: Stop Brexit Ltd is NOT a charity (although we have had to chose that option here), we are a Company Limited by Guarantee, which means all funds are spent on campaigning to stop brexit, and nothing else. Thank you so much for all your generous donations. As we come to the final stretch of our fight against brexit we ask that you extend that generosity a little further. The float is extremely expensive to keep, we have on going storage and maintenance costs, on top of truck hire and fuel etc. The monstrosity has bought a lot of attention to our cause over the last few months and was a prominent feature of the march on 23 March. 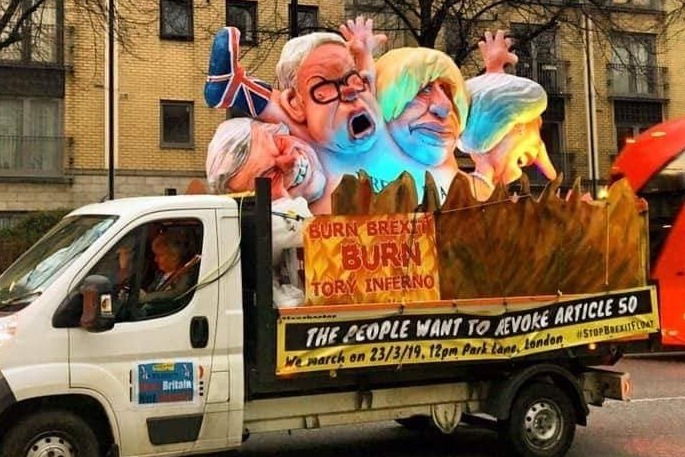 Please donate and share this crowdfund to help us get a little boost to our rapidly depleting funds to help keep the monstrosity on the road and to help us to continue our fight to stop brexit. Thank you.